When James wakes to see snow falling one December morning, he is delighted and rushes outside to make a snowman. With coal eyes, an old green hat and scarf and a tangerine nose, he is perfect and James can hardly bear to go inside and leave him. In the middle of the night, he wakes and creeps out to see his snowman again - and to his amazement, the snowman comes to life.... This special tale of true Christmas magic will bring everyone's favourite childhood festive character to a brand-new audience. 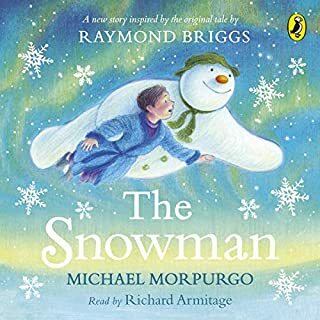 in a troubled world it is good to rediscover the innocence of childhood from time to time and listening to this delightful story was just the tonic for me. The Snowman has become a part of Christmas just like Christmas Carol and will live as long as the human race survives however long or short that may be. 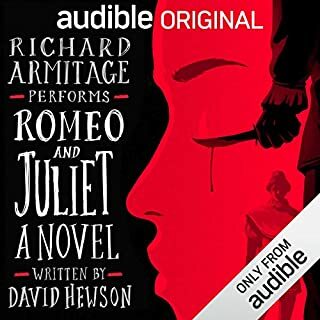 Always soothing to listen to Mr. Armitage's voice. 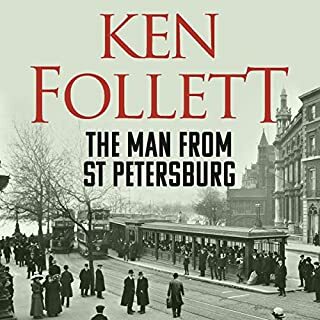 this was my first Ken Follet and I will be back for more. 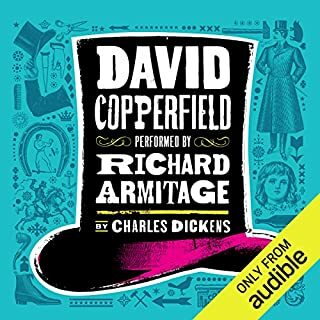 Fascinating interweaving of history and personal drama and Mr. Armitage never fails to do the writing justice with his narration. 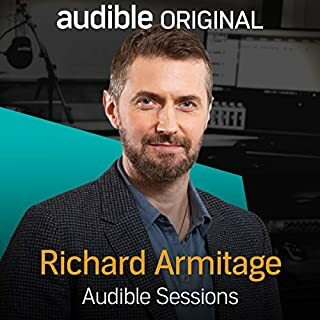 Richard Armitage talks to Audible Studios about his involvement in the new adaptation of Robert Louis Stevenson's The Strange Case of Dr Jekyll and Mr Hyde. 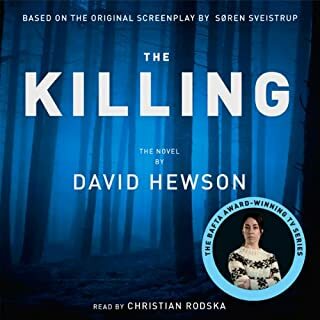 As narrator, Richard brings to life the eerie and entrancing story of a ruthless scientist who sets out to do the unthinkable by freeing his inner demon from the firm clutches of his conscience. 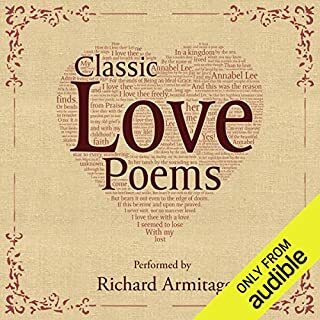 Mr. Armitage never fails to fascinate me with his ideas on life and literature, not to mention the effect of those deep, melting tones in his voice. Sorry, I'm just plain addicted.....definitely my drug of choice and unlike Dr Jekyll's, it doesn't turn me into a monster.....well I don't think so ? I've watched many TV adaptations of Hardy's works but never actually read any of his books so this was a good introduction to his style of writing. This story with the link to astronomy was most unusual and intriguing. A sad and maybe slightly melodramatic ending but I don't think Hardy is known for softening the hard truths that happy endings are an illusion. 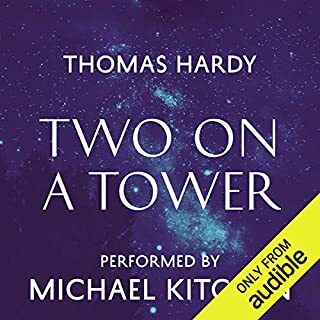 Have always liked Michael Kitchen's soothing voice which made this a good bedtime listen. Too long and tedious. I struggled manfully to chapter 54 but was losing the will to live so jumped to last chapter to find out who did it but to be honest I didn't care in the end. The narrator's voice gave me a headache. I hadn't watched the TV series and I'm glad I didn't. Don't think I will bother will the next two books in the series. Sorry if this sounds grumpy but I suppose it just wasn't my cup of tea. Going back to the Classics for my next listen. 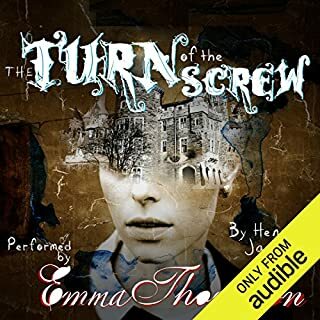 This is the third of the stories derived from Shakespeare's plays that I have listened to although I think it was the first produced by the collaboration between Mr, Hartley and Mr, Hewson or Mr. Hewson alone.I love their style of writing, rich with description and characterisation . I particularly like the way they have developed the three sisters ( witches ) in their version, very clever and most entertaining. The more I discover about the history of mankind and of kings in particular the more I am convinced that evolution may have taken a wrong turn but no doubt in the long run it will make a correction which may or may not include humanity depending on whether we can mend our ways! 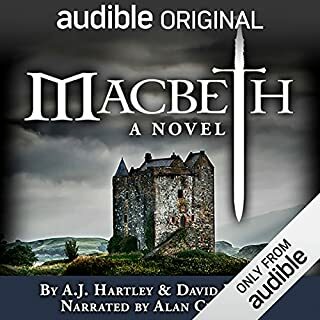 I did find the narration slightly one dimensional on this occasion and consequently lost the plot once or twice, but it is a story that I will no doubt listen to more than once if only to enjoy the writing. I have always struggled with Henry James's style but I keep trying, so I thought I'd see if listening would help. Unfortunately it didn't, at least on this occasion. The narrators did their best but I'm afraid I'm still not a James fan. The marriage made in heaven for me is the combination of Mr. Hewson's brilliant storytelling and beautiful writing and Mr. Armitage's wonderful narration bringing all those characters to life and painting such vivid pictures with his voice. Took my breath away to hear him speak the opening passage from Shakespeare's play in the prelude to Mr Hewson's final comments! Wow,so beautiful. My favourite moments have to be the scene in the garden when Romeo &Juliet first meet and the balcony moments, so passionate but tender . There were lots of moments when certain characters made me laugh out loud, especially the nurse but also Nico,the apothecary with his down to earth take on his masters and life in general..As a woman who has been lucky enough to live in a time and place where I have had the freedom to live my life as I wish, my heart went out to this Juliet who represents many women who for centuries have been supressed and opressed.. Thank you for letting her survive the carnage Mr. Hewson. A wonderful,sensitive and amusing reading or rather all embracing performance of this iconic book. I love Dickens but sometimes get a bit bogged down with the density of the language. This reading has convinced me that his writing comes alive when it is read aloud and all those varied characters are brought to life. Listening has even made the process of reading his work myself much easier . Beautiful Poems, Balm For The Soul. I listen to this whenever I am feeling sad or lonely. The beautiful sentiments are expressed with such warmth and sincerity by the soothing, expressive voice of Mr. Armitage. Pure heaven! Wish it was longer.